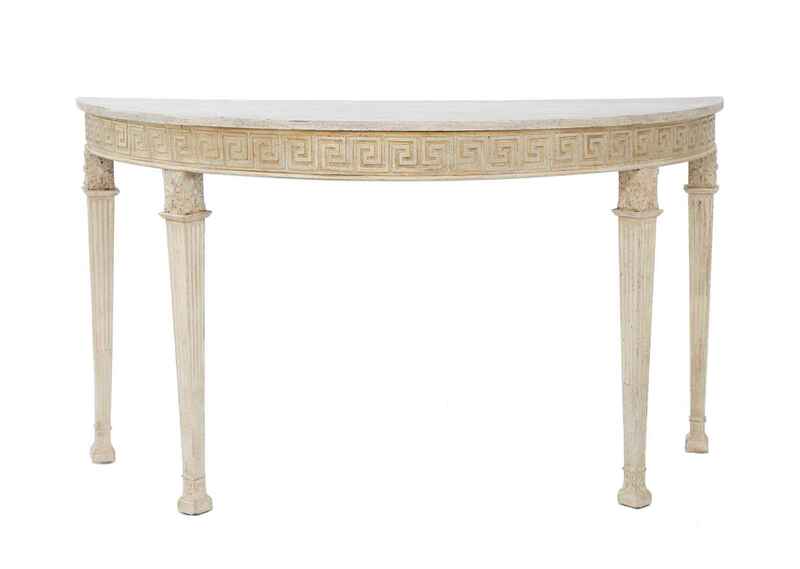 Demilune console table, having a D-shaped faux painted top, over in-carved Greek-key apron, raised on fluted, tapering, square-section legs, with acanthine knees. CONDITION: Excellent antique condition. Desirable wear to painted finish, consistent with age and use. Demilune console table, having a D-shaped faux painted top, over in-carved Greek-key apron, raised on fluted, tapering, square-section legs, with acanthine knees. CONDITION: Excellent antique condition. Desirable wear to painted finish, consistent with age and use.